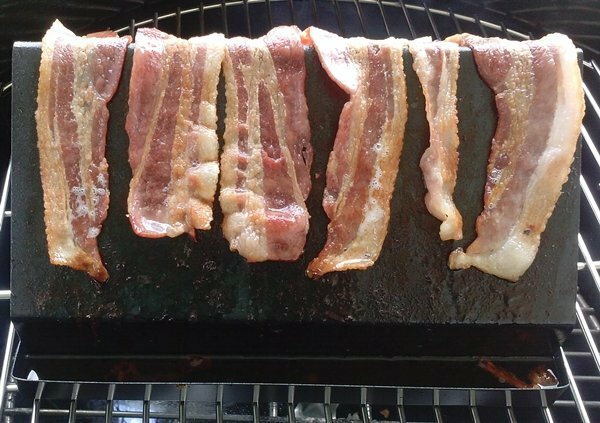 The non-stick bacon grilling rack will hold up to 6 slices of bacon. 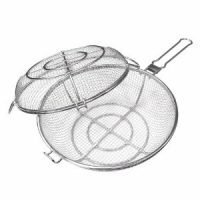 Its angular design allows the bacon drippings to run into the drip trays on either side. 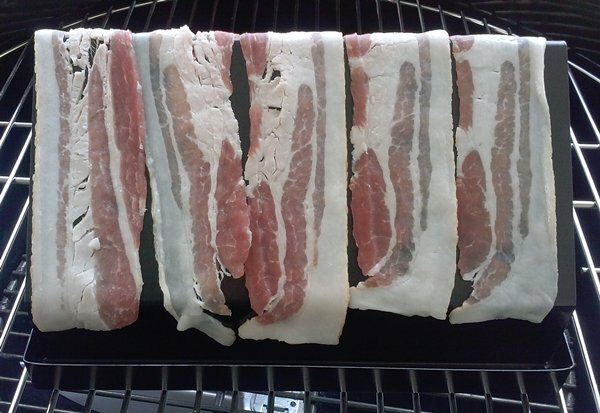 The non-stick bacon grilling rack will hold up to 6 slices of bacon. 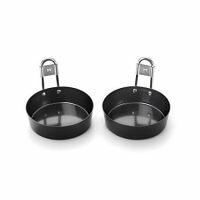 Its angular design allows the bacon drippings to run into the drip trays on either side. Making for a crisper healthier piece of bacon. 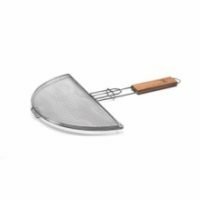 Perfect for grilling up your bacon at the same time as grill your burgers. No mess no smoke and the nonstick coating make for easy clean up. It is 10 inches long, 9 inches wide and stands 5 inches high. This is yet another product that I knew I had to review the minute I stumbled upon it in the catalog. It is basically an inverted V with grease catchers on both sides. The rack itself was a little larger than I expected it to be. At 10 inches long, 9 inches wide and it stands 5 inches high. These dimensions allows it to fit 5 pieces of regular bacon perfectly. 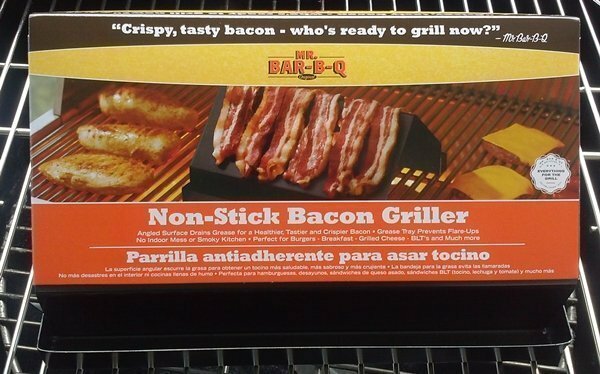 The packaging of the bacon grilling rack is nothing more than a cardboard wrap with instructions on the back. The instructions tell you to place the bacon on the rack cold. Set the rack on a pre-heated grill over medium heat and turn once. After a quick hand wash and rinse we are ready to try this baby out. 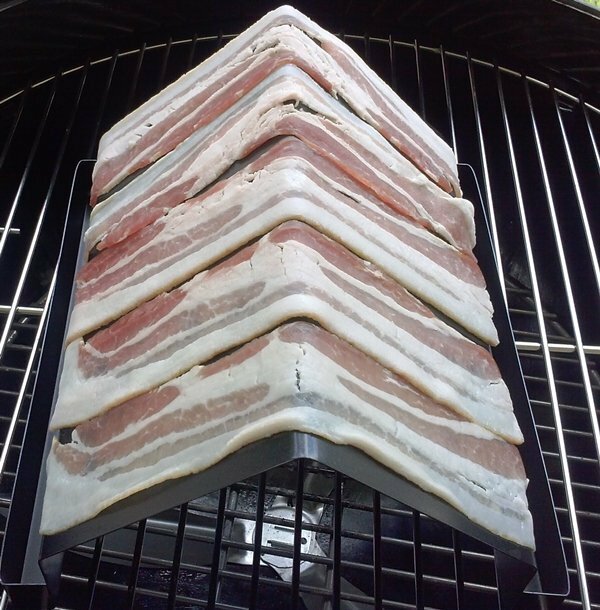 At first I follow the instructions and set the bacon onto the cold bacon grilling rack. Then set it onto the grill over direct medium heat. 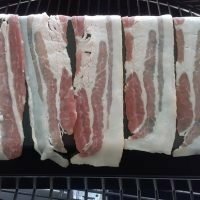 It takes a while for the bacon to start cooking and I leave it go until it starts to get wavy and looks about half cooked, around 8 minutes. When I attempt to turn it the bacon on the ends of the rack sticks pretty badly and despite my efforts to carefully peel it off it shreds to pieces. The 3 pieces in the middle stick a little but are salvageable. I turned down the heat to a medium low and finished cooking this batch without turning them. The first try, I learned that I was cooking at to high of a temperature. Also the bacon needs to be turned multiple times through out the process. 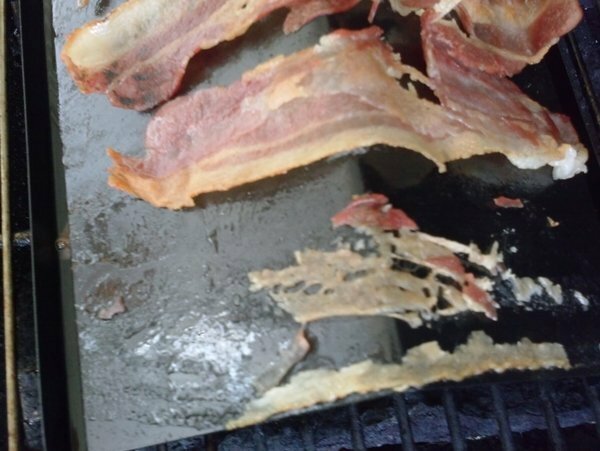 The drip trays on the bacon grilling rack did a great job of catching the bacon grease. The non-stick finish will not help if you grill at to high of a temperature. After allowing it to cool slightly and scraping the bacon that was stuck on it off I was ready for the second batch. The bacon grilling rack was still very warm when I set the next round of bacon on it and the grill was still set at a medium low heat. This time the bacon began cooking much more quickly. 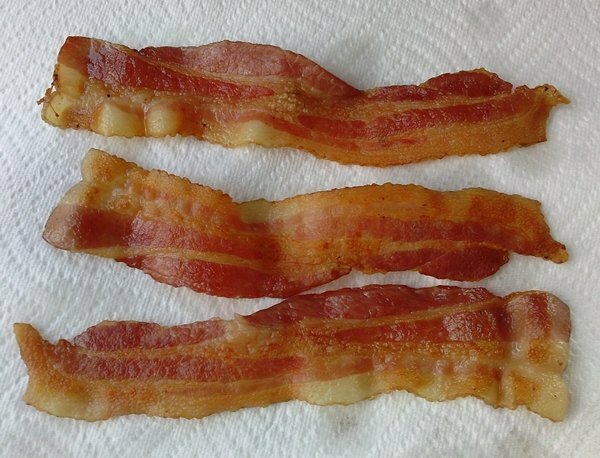 At the first sign of the bacon shrinking I turned it and did so every few minutes through out the process. One or twice there was minor sticking but a slight tug got it loose without damage. When this batch was deemed finished. I set them onto a paper towel and set another towel on top to absorb the excess grease. After a very short cooling off period it was time for the taste test. Somehow the bacon was crispy and chewy at the same time. It did not have near the shrinkage that would happen on the stove top. So I marked this batch down as a success and finished cooking the rest of the package of bacon. 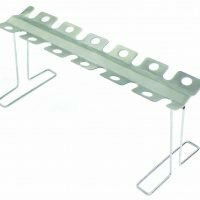 I did not remove the rack from the heat and just placed the strips onto the hot rack. This method worked very well until I over loaded the rack on the last batch. In that case I had a piece to close to the edge on one side. The dripping grease missed the drip tray and caused a flare-up but nothing major. Cleanup even with the sticking of the first batch was fairly easy. First you need to find something wide enough to pour out both drip trays at once. We used a large coffee can. With soap water and a scrubber sponge it came clean with minimal effort. Because of the non-stick coating it needs to be washed by hand and you can not use an SOS pad. 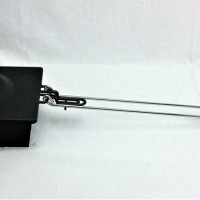 The conclusion on the bacon grilling rack: This is one gadget a bacon lover might need to have. Frankly, like cooking bacon on the stove top it this is fairly labor intensive to do it correctly. The upside is the bacon mess is moved out of the kitchen. If you are just looking for a few strips of bacon to top that burger with this is perfect for that. Suggested Reading: How to grill bacon. Labor intensive, like cooking bacon on your stove but it works well. A must have for a bacon lover others might want to pass on it.